← Passion for what I do! Try out this really cool presentation tool! So…as a math teacher, sometimes finding really cool ways to incorporate fun stuff into class can be a little difficult. Its a struggle to get the kids to show all of their work using paper and pencil, forget about it if they have to type it all in!. But this week my kids are working on a little mathematician project using Prezi. Here is the scoop: the students (in groups of four) have to create a Prezi that is between three and five minutes. They are going to present their mathematician to the class and vote, with the winner being declared a member of the Math Hall of Fame! My colleague and I created a fun Prezi to give the kids a look at what we are going to have them doing. We came up with a fun grading rubric and off we go. We spread this project out over a three week period, and devoted one day each week: one day for exploring their mathematician, one day for creating a Prezi, and one day for presenting. This has turned out to be a really fun time! The kids have worked hard to make fun Prezi’s, to be creative, to add some teenage humor, and I can’t wait to see the finished product. You want to use an iPad?? No problem Prezi has an app for that!! 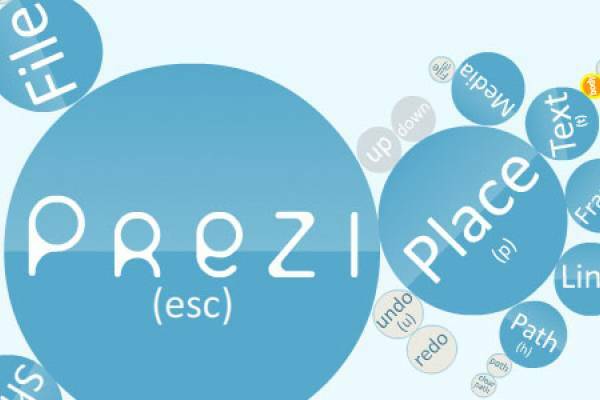 If you are looking for a super great presentation tool, give Prezi a try! One Response to "Using Prezi In Math Class"
How awesome! I just did a similar assignment using Prezi with my Algebra students because our class is all digital. They really love any opportunity to use their iPads creatively in class.